Thanksgiving has always been one of my favorite holidays. The coming together of people you love and care about mixed with the days spent cooking and preparing for a meal. It is my kind of holiday. 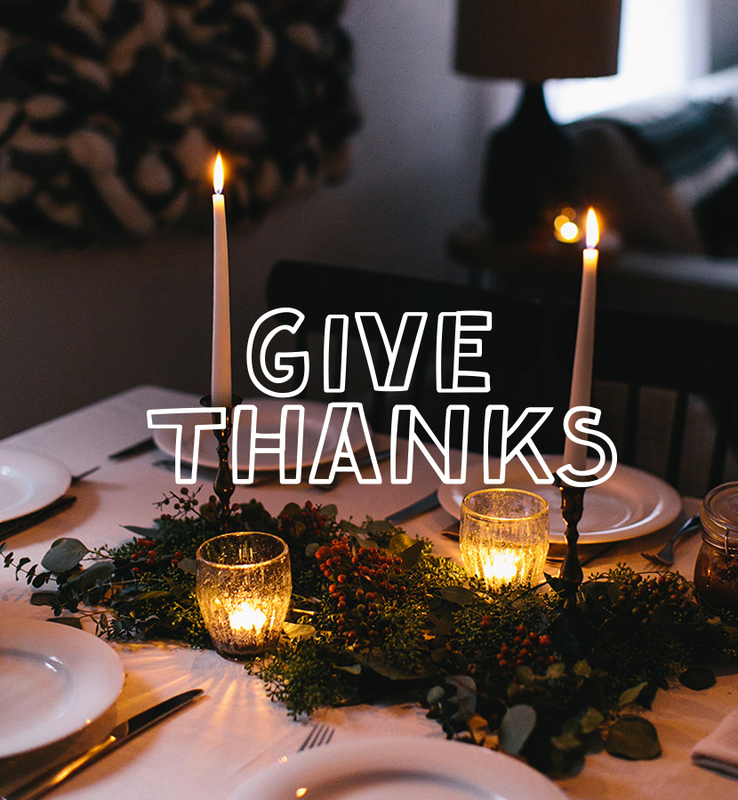 I love the gathering and the preparation that revolves around simply giving thanks and remembering what matters most. I hope you all find yourself today with someone or someones you love. I hope that there is good food. I hope there is clinking of glasses. I hope you smile so much your cheeks hurt. I hope your belly hurts from laughing so hard. I hope you remember how much there is to be thankful for. Enjoy today and the time off with people you love. We will be doing this with our family here in Texas this year and we couldn’t be more thankful to just gather with them. I hope you each have a wonderful Thanksgiving wherever you find yourself. If you need a way to just show your gratitude a little more today, we have partnered with Over to sell a Thank You Pack this holiday season for just $.99. If you have Over already on your phone, just update the app and you will find it in their marketplace. If you haven’t downloaded it, you will want to do so in order to download the pack. The graphic above and a bunch of others are in the pack as well. Also, if you missed our DIY yesterday for wine labels it is a great way to add some holiday spirit to the table.